What is Secure Search Virus? Secure Search Virus is, technically, not a virus, but it is definitely a malicious application you should not keep on your computer. This infection affects the only browser – Google Chrome – in most cases, but it might be updated one day and apply changes to all other browsers too. It is not that hard to recognize web browsers affected by Secure Search Virus – they have an additional bar called Secure Search at the top. It works as an ordinary search tool, so some users do not do anything about its presence on their browsers. We hope that you are not one of them if you have started reading this article. The only way to eliminate the annoying bar from browsers is to delete Secure Search Virus fully from the system, so we suggest starting the removal procedure today. You should go to remove Secure Search Virus not only because you have found the bar set on browsers extremely irritating. It is necessary to get rid of it as soon as possible also because it might put your system in danger. The next paragraph contains the information you need to know about it. What does Secure Search Virus do? 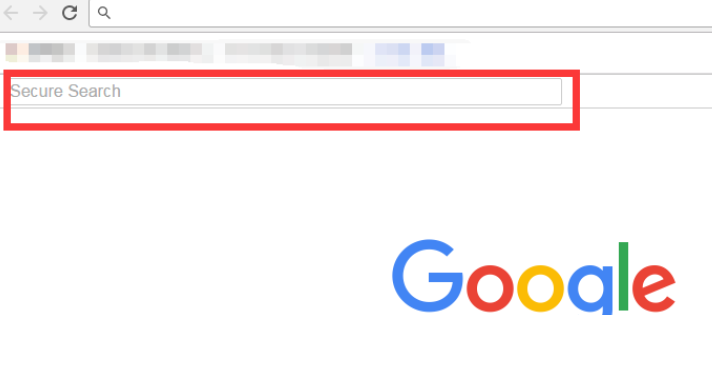 Users start seeing a bar at the top of their browsers after the installation of Secure Search Virus. This bar works as a search tool, but it is not a trustworthy search provider – it redirects all the searches to an untrustworthy search engine securesurf.biz. This search tool is considered unreliable because it displays search results that only promote certain pages by driving traffic to them. Of course, these pages do not contain any information based on the search query, and some of them might even be harmful. Malicious software might be hiding on them, and it might try to enter your computer the moment you land on such a malicious page. Do not let this happen to you – delete Secure Search Virus as soon as possible. How did Secure Search Virus enter my computer? Secure Search Virus does not act as a virus. Instead, it is spread as a malicious extension. This threat cannot be downloaded from any official source, so we do not think that its appearance on your computer is your fault. It is more likely that this threat has entered your system bundled. If it has infiltrated your system somehow differently, you still must implement the Secure Search Virus removal as soon as possible. How do I uninstall Secure Search Virus from my computer? You can either remove Secure Search Virus from browsers manually or automatically. If you decide to erase it manually, you will need to reset your browsers because Secure Search Virus has a form of the browser extension. Alternatively, this extension can be erased from the extensions’ menu. Also, it is possible to delete Secure Search Virus automatically. It is the easiest Secure Search Virus removal method that exists, so you should adopt it if you do not have much experience in malware removal or do not have time to erase it manually.